We all remember the big emergencies, unfortunately. The Boxing Day tsunami; 2010 Haiti earthquake and of course, this year’s East Africa Crisis Appeal. The reality is of course, that many more people are killed or have their lives destroyed in natural disasters, conflicts or other emergencies, than you will ever hear about. But just because you don’t hear about these emergencies, doesn’t mean you can’t help. Members of the Emergency Response Team fund our first response to lots of emergencies, every year. Torrential rain caused floods and landslides across Sri Lanka in May 2016. Hundreds of thousands of people were affected – many people were killed, others saw their homes destroyed, and the storms ruined crops. After disasters such as floods, people need all the essential items we might take for granted. Things like buckets and hygiene items are given out. 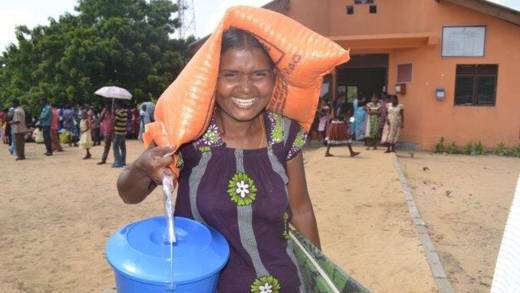 CAFOD was able to work with our local Caritas partner in Sri Lanka to get food and vital emergency items, such as clean drinking water, to people who had been forced to leave their homes. “We are helping people forced from their homes by providing them with food and vital emergency items such as clean drinking water” said Giovanna Reda, Head of Humanitarian Programmes for Asia, Latin America and the Middle East at CAFOD. Another, perhaps unexpected effect of the flooding was the impact on young children. Because so many homes stayed underwater for days, children lost their clothes, school notes and valuable books. But through our partners and thanks to donations, over 2,000 children were given school materials, so that they could still get an education, despite having lost so much. 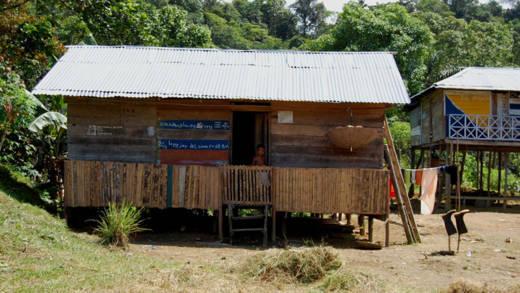 A house on the riverbank in Chocó, one of the poorest regions in Colombia. Natural disasters often affect the poorest people the most. Chocó is the poorest area (or department) in Colombia. When rivers started overflowing after heavy rains in April 2017, it was poorer homes that were destroyed or badly damaged. Afro Colombians, who are among the most marginalised groups in Colombia, and who traditionally farm next to the river, were most affected. They lost their crops – their food and source of income. CAFOD’s local partners, using funds donated to the Emergency Response Team, are helping people rebuild their lives, so that they have enough food to eat and can find a way to earn a living again. One way is by providing seeds so that people can plant and grow crops again, but also by finding other ways for people to farm, so that they are at less risk if there are floods again in the future. “Our local partners play a vital role during emergencies. They are on the ground permanently, and in this case they are part of the local communities who were affected by the floods. This means that they understand who is affected and what is needed, and can support the local people for the long term." Floods in Peru, from late 2016 onwards, caused by El Nino, and terrible mudslides triggered by the rainfall, devastated thousands of lives, and killed at least 158 people. A CAFOD partner gives out essential items to women who have lost their belongings in floods. Our church partner in Peru, the Diocese of Chosica/Caritas Chosica, has responded to the emergency delivering delivered aid in Barba Blanca and Carapongo, two of the most devastated areas in the outskirts of Lima. So far, 80 families (50 in Carapongo and 30 in Barba Blanca) have been helped, because of money donated to the Emergency Response Team. with the support of CAFOD’s emergency grant. They have received water, kits of medicines, first aid, hygiene kits as well as buckets and other basic, but useful, utensils household itemsto last several days. 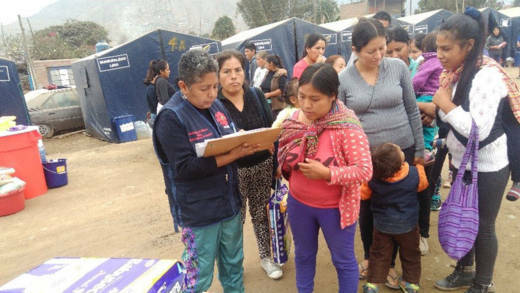 CAFOD’s Programme officer in Peru, Illari Aragon, recently visited people affected by the floods. “Before the natural disaster, Barba Blanca was an agricultural and productive area. People had small farms to grow crops for sale and personal consumption, and had chickens and guinea pigs. “Now, most of the area has become desolate and unproductive. 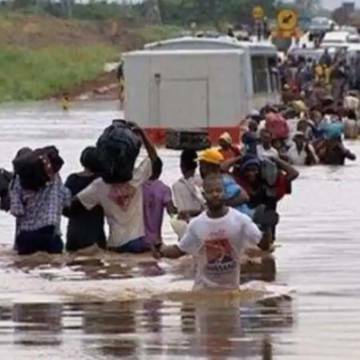 Houses and arable land have been destroyed by the force of rivers and rocks, and infrastructure, such as schools and roads, has also suffered severe impacts.